So, I guess when temperatures reach 120 for two days in a row, it's definitely summer in Arizona. Nothing like getting in your car and feeling like you've entered a sauna. True story: one of our booksellers told me she "baked" cookies in her car, just to see if she could, and by the time she left work that evening they were ready to enjoy on the way home! Seems to me the only thing to do on days like these—and one of the few benefits of summer beyond eating cookies and gelato—is to read for hours. The store is filled with really good books at the moment. Actually, it's always filled with good books, so come in and find something to get you through the heat. In addition to the latest new books, we're always trading in great used books, and we have a huge number of new 'sale' books arriving every day. There's something for everyone's book budget. The staff has been reading up a storm, as have I, and we have many new titles to recommend. Our Staff Picks cases near the front of both stores are filled with recent favorites, and you can always visit our website to browse the Staff Picks there. Without slipping too deeply into politics or commenting on the current healthcare debate, I would like to let you know about a few things going on in our community that are worthy of your support. Save our Schools is a grassroots volunteer group of concerned Arizona citizens who want our state to prioritize public education. This local group is collecting signatures to put a critical referendum on the November ballot. They support school choice, but not the expansion of vouchers that will take even more money away from public education when our schools are already in crisis. They believe that strong schools for all children create a stronger community and a more prosperous Arizona. 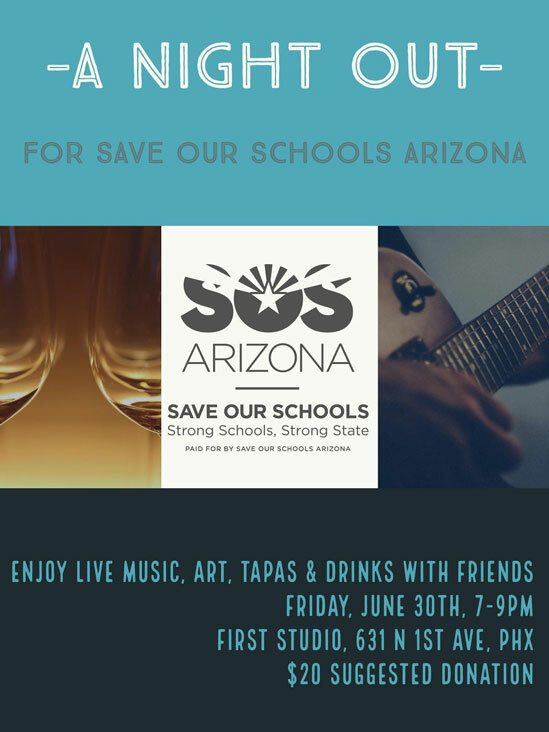 They're having a fundraiser on June 30th that sounds like lots of fun, and will give you a chance to meet others who might share your concerns about the state of education in Arizona. There's also a locally produced play called 1070 (We Were Strangers Once, Too) that you might want to see. It focuses on immigration issues for a family facing deportation and the total disruption of their lives. You can catch it at the Herberger through July 9. Our friends at Pomegranate Cafe in Chandler are expanding and opening a new location in Phoenix, not far from our Phoenix store. We are thrilled for them. They've launched an Indiegogo campaign to help raise funds for their new endeavor should you like to contribute. If you haven't tried their quesadillas, their scrumptious eggs, and amazing desserts, you're missing some of the tastiest, healthiest food in the Valley. And the sweetest people work there, too. Some of you may remember our old Changing Hands employee, Wayne Lundgren. He wore shorts winter and summer, was a whiz at organizing and displaying our books, was an avid reader, and in his free time watched birds and made simple, beautiful art. He died last year while living in Oregon, and we were all deeply saddened by this loss. A sampling of his artwork is on sale at our Tempe store in the gardening section. All proceeds will be donated to Audubon Arizona thanks to his friend and our employee Claudia Nunez de Ibieta and some former employees, who have curated, cared for, and cherished Wayne's legacy and art through the years. One last note: Mark your calendars for July 31 at 7pm, when our biggest hometown celebrity chef, Chris Bianco, launches his long-awaited cookbook, Pizza, Pasta, & Other Food I Like, at our Phoenix store. If you've never met Chris, he's a hoot, and one of the nicest men you'll ever meet. He also happens to be a James Beard Award-winning genius whose pizza is routinely named the very best in America. I'm off to the beach very soon, where I will be reading every day under my umbrella. Stay tuned for reports of dolphin sightings, fun times with family, and lots of new books to recommend. Hopefully I can store up enough cool beach air to get me through the rest of the summer. I hope all of you get a chance to breathe in a bit of cool air as well, and that you find great books to read, and spend happy times with your family and friends. Come visit and share your stories. We'd love to see you.